There is power in art-making. It revives, calms, connects and energizes. 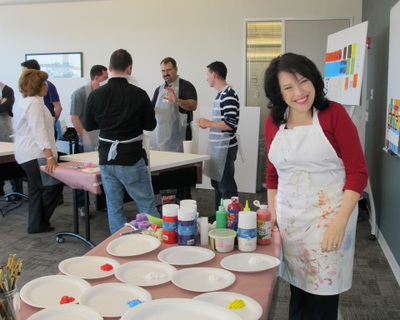 Co-workers unwind and increase camaraderie while spending time in a creative environment. Goals for each company's team event are uniquely considered. Projects require no 'art skills' and typically span 2 hours. 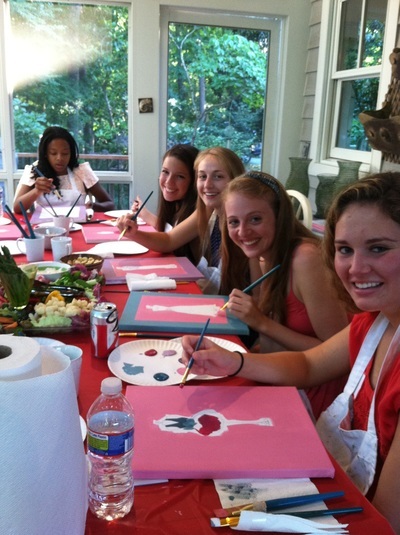 Art Parties create fabulous memories! Check out the choices of images that may be created, here. Small groups of 6-8 are treated to wine and cheese in my private home studio. Larger groups are accommodated in chosen venues. Choose an image from gallery! Live Painting is absolutely one of my most favorite ways of sharing art! 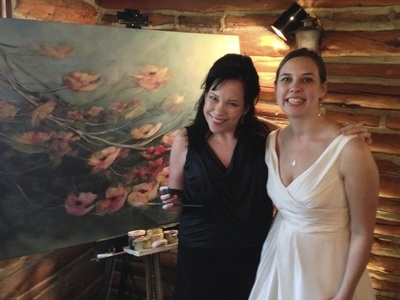 ​Wedding receptions, galas and parties of all kinds provide fun opportunities for guests to delight in watching a painting unfold and develop right before their eyes. How can I help your awesome event?